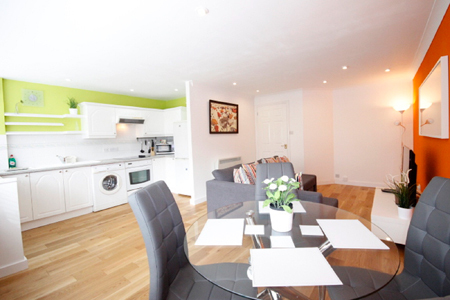 These two bedroom, one bathroom serviced apartments are perfectly located right in the Heart of the City Centre, across from the main shopping centre and close to restaurants/cafe bars, supermarket and transport links. 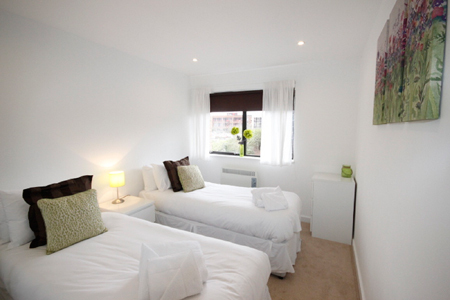 These apartments offer modern living with light, spacious surroundings. There are two modest bedrooms one with a double bed and the other, a twin room complimented by built-in storage cupboards. There is a stylish bathroom with simple, sleek cabinets and a wet-room style walk-in shower. To fit in with the city living life-style offered by these serviced apartments they also feature flat panel TV, comfortable corner sofa with additional storage, fully inclusive Wi-Fi access and Sky television with Sports, F1 & movie channels. Secure, gated parking with an allocated bay is also included. The kitchen is fully equipped with all the essentials including washer/dryer, oven/hob, crockery/cutlery, fridge/freezer etc with ironing facilities. There are two modest bedrooms one with double bed and the other with a twin room complimented by built-in storage cupboards. 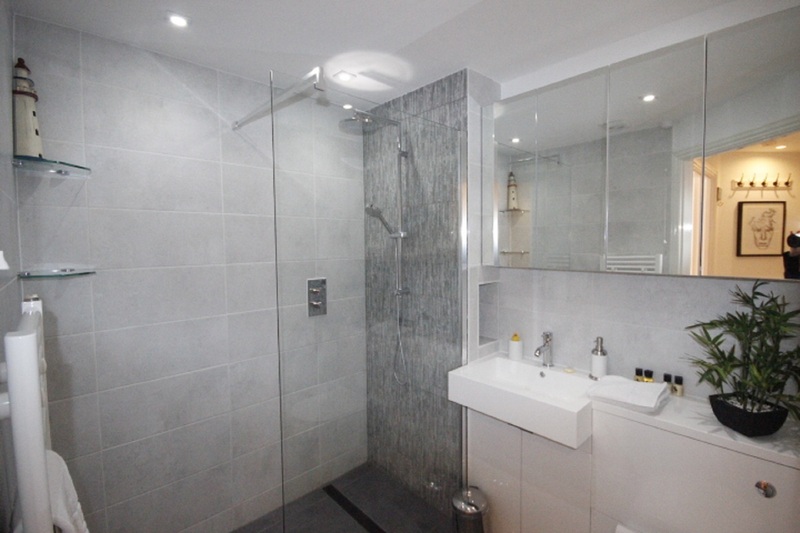 There is a stylish bathroom with simple, sleek cabinets and wet room style walk-in shower. To fit in with the city living life-style offered by these apartments they also feature flat panel TV, comfortable corner sofa with additional storage, fully inclusive Wi-Fi access and Sky television with Sports, F1 & Movie channels. Secure, gated parking with an allocated bay is also included. 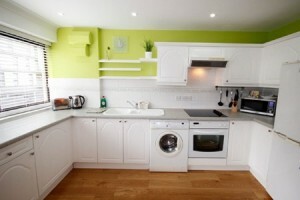 The kitchen is fully equipped with all the essentials including washer/dryer and ironing facilities.